mucolytics, nasal decongestants and/or antihistamines. The primary goal pursued by treatment is to improve the clinical symptoms caused by this condition and, obviously, prevent complications. Cyclamen extract, is a natural product that is applied topically. It does not cause any significant residual irritation, it does not remain in the nasal cavity and has no systemic effects. The cyclamen extract has a local action on the sinonasal mucosa, triggering a reflex secretion. 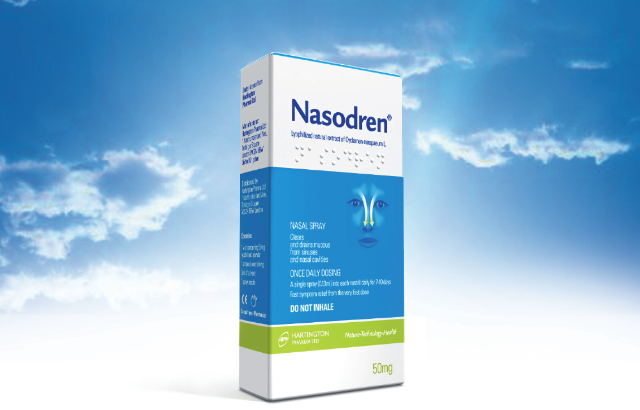 The product is administered intranasally and its specification is to stimulate physiological mechanisms within the nasal passages and facilitate discharge of these secretions by means of an intense natural drainage of the paranasal sinuses. In recent years, Cyclamen extract has been developed. It is a natural aqueous solution containing extracts from plants belonging to the Primulaceae family. The plants are growing plantations under climate conditions that guarantee their quality and effectiveness. It is administered topically by spraying into the nasal passages and reduces the symptoms associated with congestive conditions. The plant extract activates the physiological clearing mechanisms of the congested airway mucosa, giving rise to a mechanical entrainment effect on the accumulated mucus secretions and facilitating their drainage, cleansing and removal. After intranasal administration, it acts on the mucosal surface, triggering a reflex secretory response by the mucous membranes lining the nasal passages and paranasal sinuses. shortly after application, the patient may experience smarting and irritation in the nose. A reflex secretion starts a few minutes after application of the product, which may continue for a couple of hours. This reflex secre-tion decongests the mucosa and opens the osteomeatal complex. An intense physiological drainage of the paranasal sinuses occurs, with effective results in terms of symptom improvement, which becomes significant by the 4th-5th day after starting treatment.